The broken chips of life, glued back together, form a strange cup. it watches us from the cupboard. 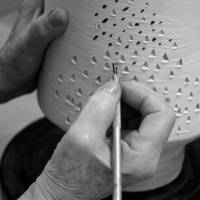 Leila Mirandola is a ceramic artist. 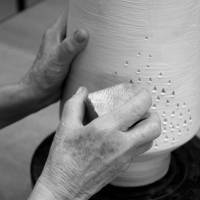 Yet this does not define or classify her, considering that pottery is an ancient technique, which opens to multiple styles. Leila Mirandola is an artist. Yet this does not define or classify her, considering that it is one of those generic terms which seem to withhold quite a lot. 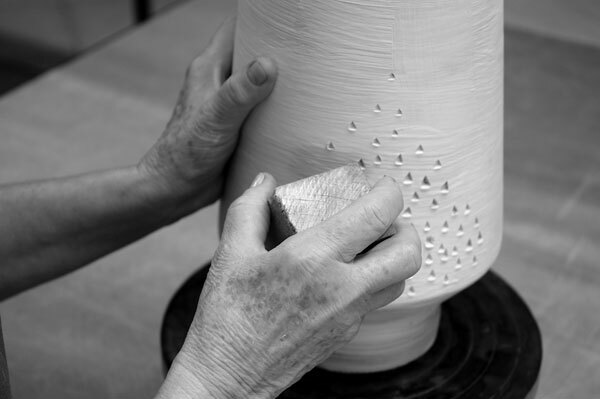 What actually defines Leila Mirandola is the passion with which she deals with pottery. Passion is only exceeded by her feelings for her family. 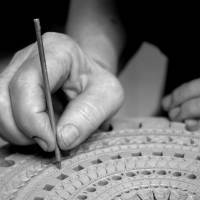 And, with this caring and intensity, of someone who rears of a child, she makes each of her artworks. Nothing is petty or aimless. Each form has a meaning which unfolds into thousands of others. From pure, coarse and shriveled clay, she shapes slender and delicate slabs, which roll up onto each other, transformed into vessels of energy and light. From the high temperature she brings out the smoothness and keeps the power. From the high temperatures she brings out the best of the colors and the heat. 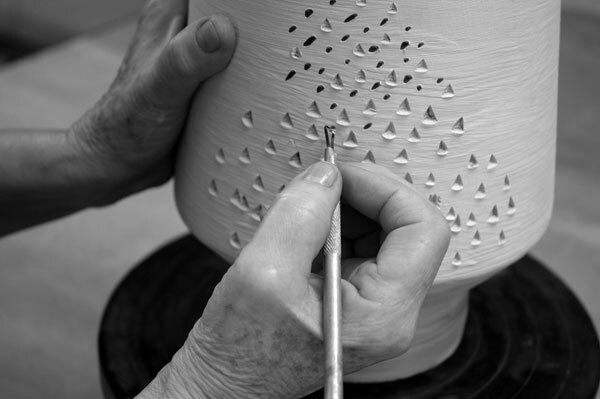 Each of Leila’s pottery is unique, such as a fingerprint, causing her own impression. As a matter of fact, impression is her trademark. 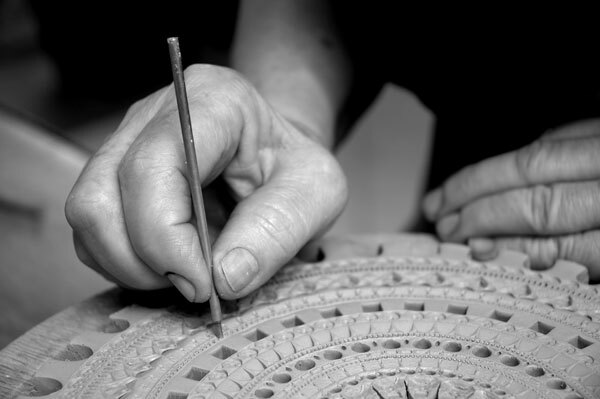 Developing a series of tiny instruments, she polishes each piece of artwork like a jewel, mounted with the force of an engraver. What classifies Leila Mirandola is the super-sensitive nature of her life, which she puts into her ceramic artist work, making all efforts to study more and more, restlessly working on the subject, which, therefore, yields to her desires. Just as with Drummond’s pottery, Leila’s ceramic artwork watches us from the cupboard, always questioning us, disturbing us and telling us more than what our eyes can catch, at first sight.